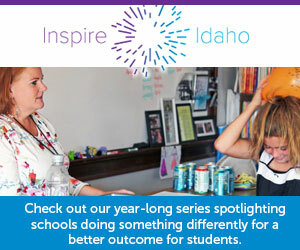 Columns written about education policy and practice by Idaho students. We’re thankful that we had the chance to pick the right school for our needs. The experience I’ve gained on the board has increased my confidence that I will be able to start a business that makes a positive contribution to society. I have a lot of aspirations for myself, but I don’t always feel comfortable talking about them. Jorge Garcia, an eighth grader at Wilder Middle School, interviewed Gov. Butch Otter during Capitol for a Day. Teens say they are concerned about their future because policy makers have devalued diplomas in the eyes of higher education institutes and future employers. An aspiring surgeon from Filer High says students need 60 minutes of physical activity at school and the opportunity to fuel up with nutrient-rich foods. The benefits of literature are legion. Books improves vocabulary, organizational skills, and the ability to read, comprehend, and analyze text. Plus, it can provide people with important historical perspective, encourage sympathy for other human beings, and promote appreciation for diversity and understanding of other cultures. About 150 high school juniors will share their voice and re-imagine learning. The limitless passion and creativity of students has been begging to be heard for years.